RSVP required by Tuesday August 21 for all Saturday events. Hunter Pace – a fundraiser for the North Hills Hunt, a 501c3 organization. New This Year: Dedicated times for pace speeds. This will allow the slow pacers to enjoy the scenery without a race passing through, and the fast pacers an uninterrupted gallop. Stabling available at Catalpa Corner for $25 per night for Friday and/or Saturday night. Bring your own shavings and strip stalls upon departure. Stabling reservations required, email Camie Stockhausen. 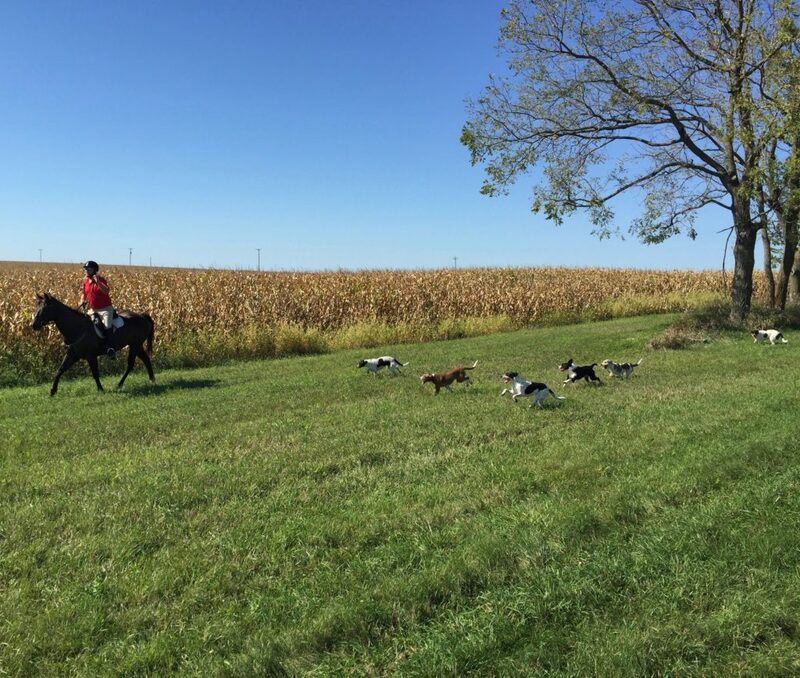 If you have ever wanted to learn about or try riding on a foxhunt in a controlled environment, a beagle hunt is for you! Beagling is just plain good fun, and anyone who can ride a horse can do it. The beagles hunt at a slow pace and provide much entertainment with their antics. It is a very sociable time! Riders will need to sign a North Hills Hunt waiver. Please print it out, sign it, and present it to the hunt secretary upon your arrival. Please pay for lunch ($7) or the afternoon trail ride ($25) with cash or check at lunchtime. RSVP for the Beagle Hunt and brunch here. Please contact Lyse Strnad for further information or directions to the hunt country Thank you and we look forward to seeing you there! Pleases print out, sign and bring a North Hills Hunt waiver to the event. 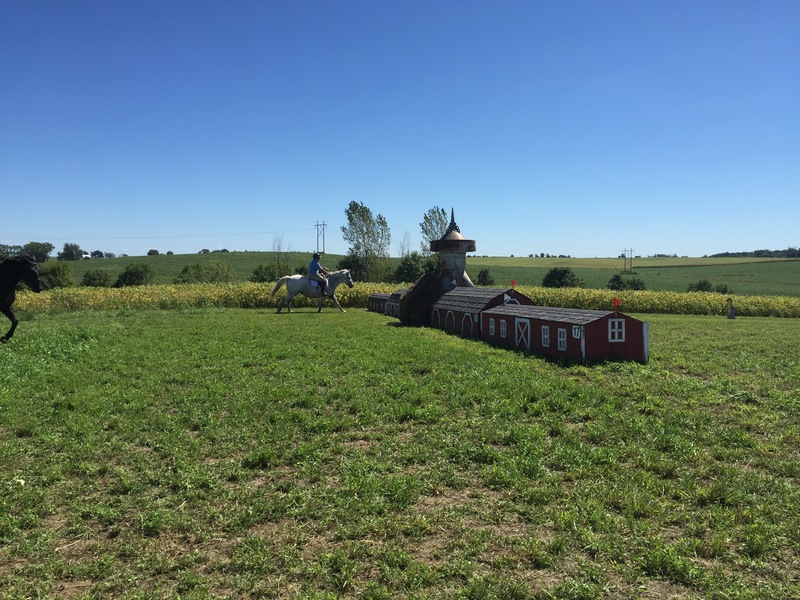 Come out and ride some of the loveliest property in eastern Iowa, with the most interesting group of fun-loving people you are likely ever to meet. Arrive early enough for the 12:30 lunch and meet like-minded people. We’ll ride the country at a relaxed pace, taking in the scenery, crossing streams and having fun. 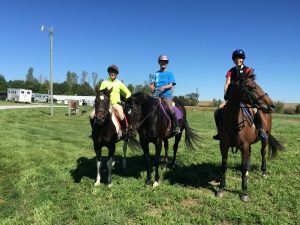 The fee to join the trail ride is a $25 donation in support of the North Hills Hunt, a 501c3 organization.. No fee is required for NHH members. Riders will need to sign a North Hills Hunt waiver. Please print it out, sign it, and present it to the hunt secretary upon your arrival. 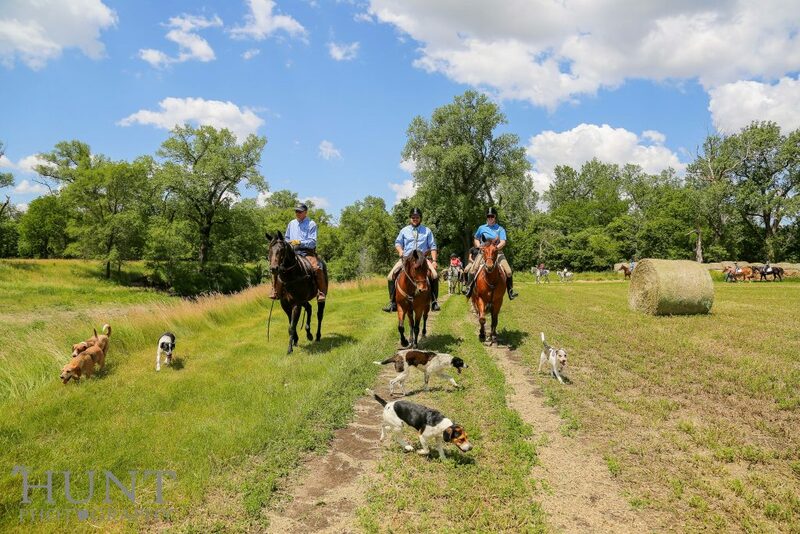 RSVP for the Beagle Hunt, lunch and/or Trail Ride. Please contact Lyse Strnad for further information and directions to the hunt country, Thank you and we look forward to seeing you there! 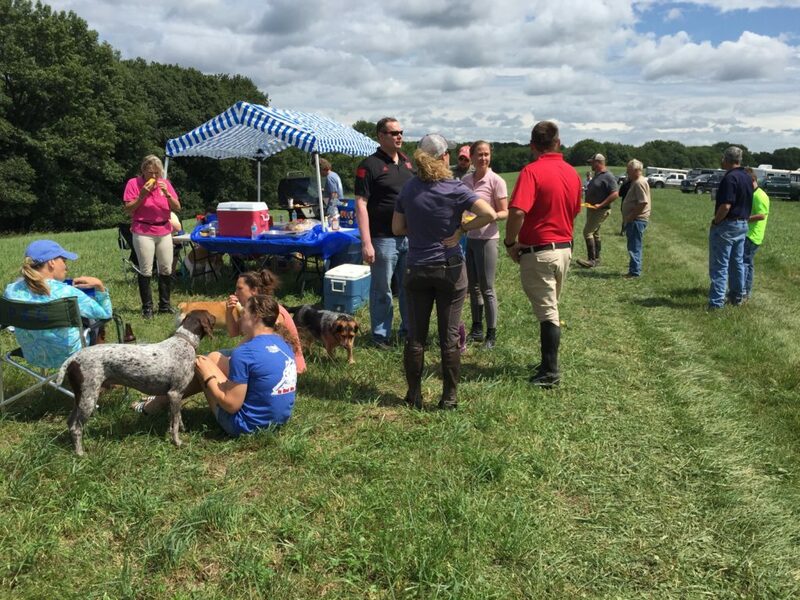 The North Hills Hunt is sponsoring a Hunter Pace at the spectacular Catalpa Corner Horse Park near Iowa City on Sunday August 26, 2018. A hunter pace is a fun competition where riders ride a marked course individually or in a group. There are jumps on the course, which are entirely optional. Attire is neat and casual, hard hat and hard-soled shoes are required. 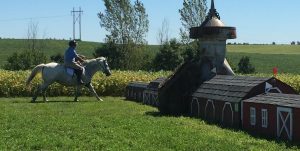 The riders ride in any or all gaits and try to match the secret pace set by experienced fox hunt riders who included walk, trot and canter when they went around the course to set the pace. The idea is to simulate the pace of a typical day out hunting – thus the term “Hunter Pace.” There are slow, medium and fast course times set. A course will be marked with beginner novice and novice level fences, and all jumps are completely optional, just like on a hunt. Entries: $50 pre-registration for non-members, $40 pre-registration for members. Day-of-event registration: $60 non-members, $50 members. Registration includes up to three, timed, hunter pace rounds; lunch with other fun horse people; and ribbons and prizes. Your pre-entry is complete when you have completed the below form and sent a $50 check, made out to “NHH” to Camie Stockhausen, 57560 Highway 210, Cambridge, IA 50046-8583 is received. Mailed entries must be postmarked by Tuesday August 21, 2018. In the event of cancellation, refunds to pre-registrants will be given upon request to Camie Stockhausen. Questions about weather or other concerns near the time of the event, please check our home page. Please direct questions not addressed on this page regarding Sunday’s events to Camie Stockhausen. We encourage everyone to bring lawn chairs and hang out to have lunch and to learn if they won an award or prize. It is a fun day in the country! Tentative schedule: The park welcomes trailers as early as 7:30 a.m. Registration starts at 8 a.m. Riders may mount their horses after their signed NHH and Catalpa Corner waivers have been presented to the secretary. Entry form for discounted hunter pace pre-registration. Hunter pace entry also available at the gate. This entry was posted in Support NHH. Bookmark the permalink.